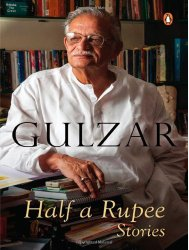 Curious by seeing famous writer/poet Gulzar’s name associated with it, we bought Half a rupee : Stories (Kindle Edition) at very affordable rate from Amazon. The book is translated in English by Sunjoy Shekhar. We have already posted our views and reviews about the same in the first segment of reviews for this book. This is the story of Maruti. A man who is working as a lowest level employee at Narasingha Rao’s boat. His work involves everything from cleaning up the boat to entertain passengers during the voyage. His day starts at very early morning and ends at very late night. And when he reach his home, there are some social stuff awaits his input or attention almost everyday. Though Narasingha Rao is probably not a bad man, but he got the foulest mouth and his words are drilled through Maruti’s heart (despite of the words are meant to do that)! Being a “Mehtar” he needed to do everything, which no one else will do on the boat, including some stuff like cleaning vomits of the tourist as well! The story is taking shape from the the beginning. The write took care to explore the attributes of almost every character properly. The description about the character’s outer and inner world is simply fascinating. Comparatively small sentences work well here. The routines of a lower middle class fellow and his family members, are explored with authenticity. The last few lines which explores the feeling of Maruti where he feels that he is the captain of his family are definitely – not to be missed – sentences. You will like to read this small story, if reality based stuff, and that too, belongs to the lowest level (economically) people of our society; is your cup of tea. This is a quite disturbing tale exploring the real life of the people living on the footpath of metro city like Mumbai. You should read it only if you can absorb some very hard realities, where life is worth of almost nothing! The profession of begging is explored well by the author. 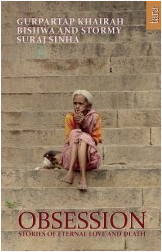 The relations between people living on footpath, their interpersonal dependencies, their social lives, their physical needs, their strange way of earning money etc. are found well written. The tale is so thought provoking that you may question yourself that “are we actually living in the society where some of the people had to live life of such a poor quality”? In short, the story is having good literary attributes but it is not for all. The stories in the third section are about the feelings of love and affection, and how they cannot be controlled by physical border lines. The stories here are focused on India-Pakistan border, precisely. Set up in the land of Jammu & Kashmir, this story revolves around the LOC (Line Of Control) which is like a live wire between India and Pakistan. The story is about two family friends which are now living in the either side of the border. Indian officer Kulwant Singh got to know about Pakistani officer Mushtaq Ahmed through his aide Majeed. How they came to that discussion is good to read, you will enjoy it. This conversation also discusses that how some family’s assets (farms and houses mainly) are divided on both the sides of LOC. Some families live this side and their farms are on the other, and for some of them the situation is opposite. How these officers contact each other and how their elder family members decided to meet is interesting to read. You got to know a lot not only about the soldiers and their families, the situations they lived in, but the impact and after effects of partition and frequent wars between two countries; and their effect on the citizens of both the sides; evidently. The end of the story is very emotional and… well you got to read it to feel it. It is a nicely written story with very realistic representation of emotions and situations. The job a person does (or the routine work he is involved with) have a very heavy effect on his/her personality without his/her realization. For example a teacher in real life coney the things by giving example, a bank official’s views are calculated and so on… This is psychological stuff and it is quite evident around us. Same way the story talks about Bujharat Singh and his habit of saying – over, after each conversation segment! Because he is a wireless radio operator of Indian Army. He is stationed at Pochina (Indo-Pak Border) during this story. The experiences of a film crew at the border are good to read. The love story of a man having two women, one at each side of border(!) is interestingly written. Also the dessert and its attributes are written like a character, and it works pretty well. The family problems of a soldier and how they cannot be there at their home to resolve it, if explored authentically. The biggest punchline of the story is about the nuclear bomb and its usage. You will surely like to read the satirical take on it. This story is determined to show the human side of the soldiers. How a retired army-man run a restaurant named Kashmir in NewYork, and how he found it full of customers, is something joyous to read about. His answer to the question “what is that emotion that makes a soldier out of a man?” is interesting. Also the mention of “what is the situation of a soldier who didn’t perform well, and asked to which village or state he belongs to” tells some realistic stuff about the feelings the soldiers experience. The situation when they found a boy departed from the family got a shelter in the army camp is worth reading. The explanation of the situation raised when the commander paid a visit to the camp, where the boy was kept hidden, is really thrilling. You can just imagine what the soldiers have felt under this situation. The last two paragraphs are really satirical punches. A story not to miss. We can say that the stories in the segment 2 are not that good but all the stories in segment 3 are not to be missed. We will keep reviewing rest of the short stories from this book over the period of time.